Take control of your home lighting with the plug-in ZigBee Smart Switch from GE. The smart switch adds remote on/off control to any lamps or small appliances using your existing ZigBee hub device and does not require wiring. 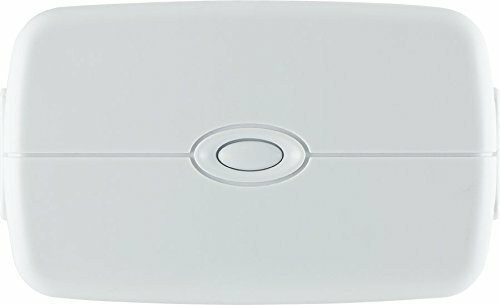 The ZigBee Smart Switch includes one controlled outlet and one always-on, standard outlet, and it's space-saving, horizontal design plugs into the top outlet of standard receptacles without blocking the second outlet. The Smart Switch can be used with any plug-in light fixture and small appliances. Transform your home into a smart home with GE ZigBee Wireless Lighting Controls!.